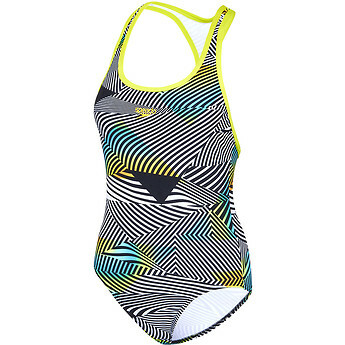 If you want to do something creative with your swim, our Flipturns collection is a fun approach to serious swimming, designed in bright prints to give you positive drive when you’re following ‘the black line’. Our Speedo Endurance+ fabric is twenty times more fade resistant than conventional elastane swimwear and 100% chlorine resistant. Go the distance. I would buy another pain in this shape! I love these the most out of all my bathers. Love the fit and just so bright and fun. Please make more in this shape!